Death's Judgement is available for pre-order! I've been working pretty hard over here in my spare time getting the third book of the Avatar series done and ready for you all to read! Finally, after a very long time of writing, re-writing, re-writing some more, and more re-writing, it's done! As of now, you can pre-order it on Amazon for the Kindle, and via Smashwords, which should push the availability to Apple, Barnes & Noble, and so on. The link is in my library tab, but since I like you, I'll just post it here! And just because I'm a nice guy, I decided to make you all a 3-pack, containing books one, two, and three! ​I used Rocking Book Covers, which is where I get most of my covers from. I think the cover for this turned out very well as a mashup of all three covers. Thanks Adrijus! Both books will be released on December 1st, 2016. Unfortunately, CreateSpace doesn't do pre-orders (Or I haven't figured out how to do them there), so if you want the paperbacks, you'll just have to buy it then. The Fairy Tree Giveaway on Goodreads.com! Giveaway ends October 11, 2015. Another giveaway! This time, I am giving away 2 copies of The Fairy Tree. These will of course be autographed and mailed to the winners! You can use the widget to your left to enter, or you can just cruise the Goodreads.com giveaways HERE. Thanks, and I hope you enjoy them! 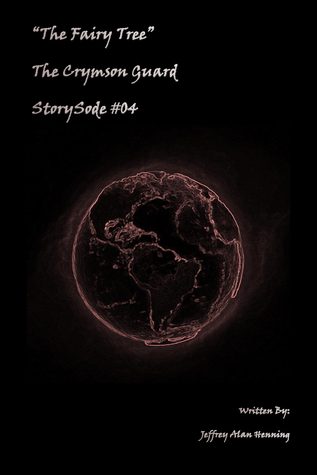 Free Flash Fiction Story at Smashbooks.com! This is a piece of flash fiction (1000 words or less) about a brave Admiral who tries to buy his people time to flee the city as it is being invaded by attacking forces. I really hope you like it. I'm using it as an introduction to a fate adventure/campaign that I'm currently working on, and hope to have ready in the next few months.